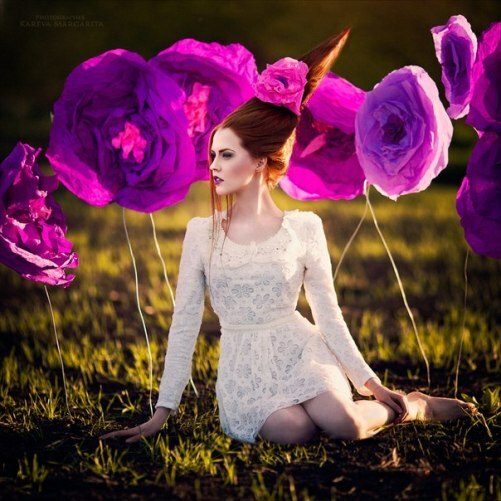 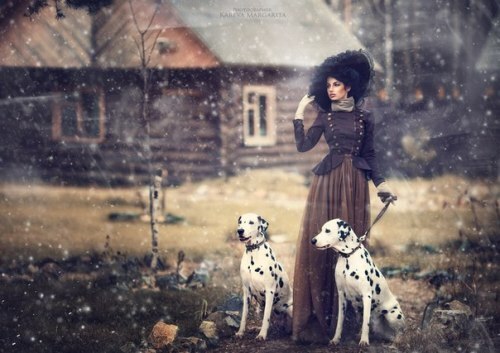 Beautiful fantasy by Margarita Kareva. 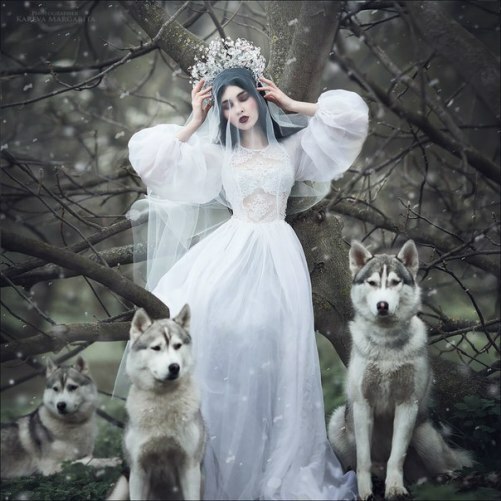 Bright photo gallery of the novice Russian photographer Margarita Kareva represents an art project with a surreal, often Gothic world. 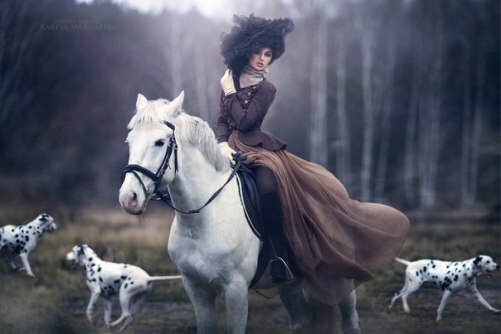 Absolutely stunning, unique images, consist of fabulously beautiful Russian beauties. 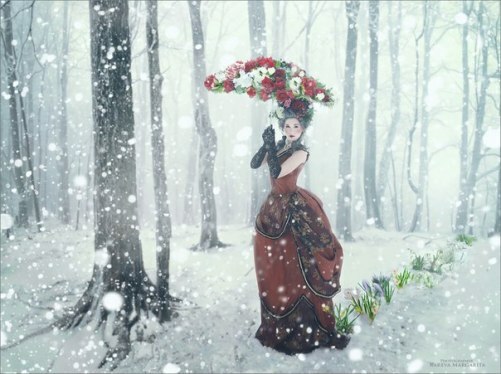 Their fantastic costumes, against either an urban background, or a magical nature landscape resemble the world similar to painting. 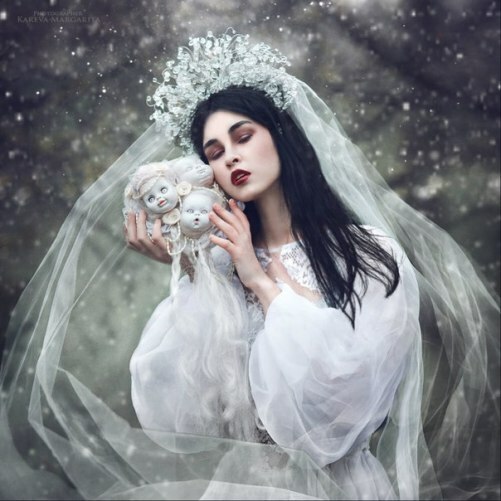 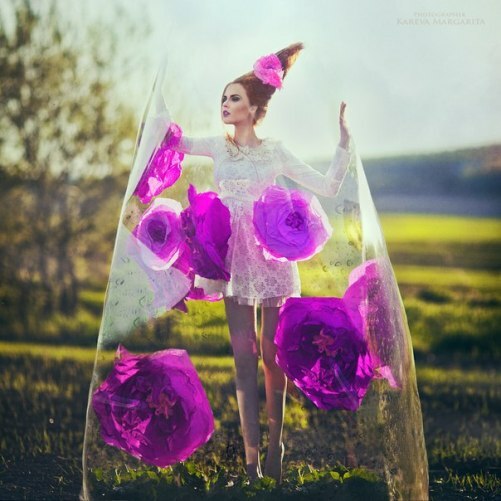 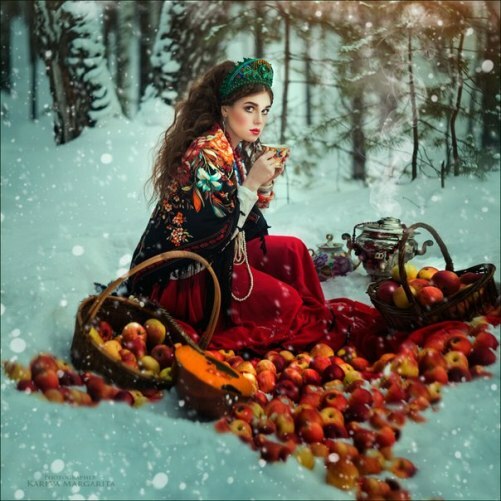 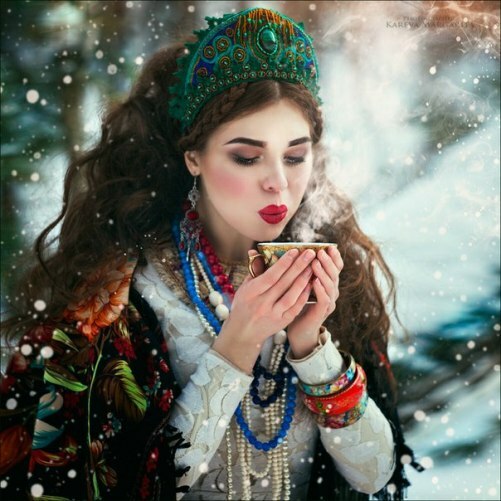 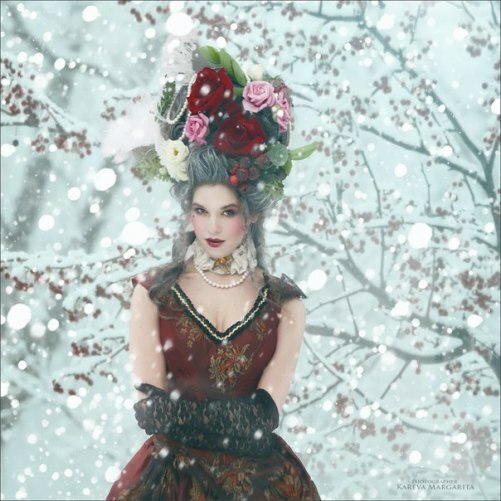 In fact, Photography by Margarita Kareva and her creative team of models, stylists, accessories and costume designers, and makeup artists can be described as art. 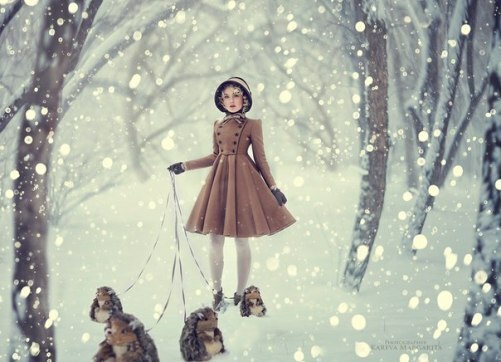 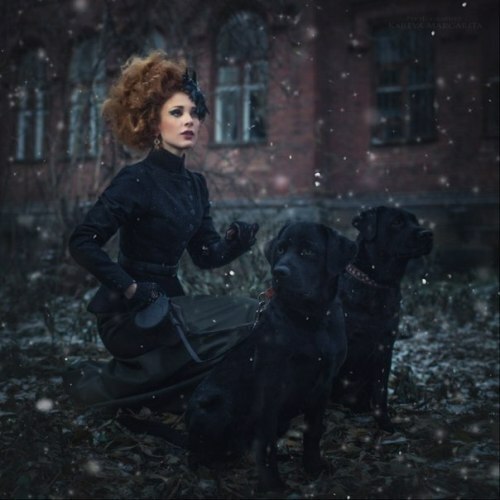 About Yekaterinburg based photographer Margarita Kareva is known that she graduated from photography school just a couple of years ago (2011). 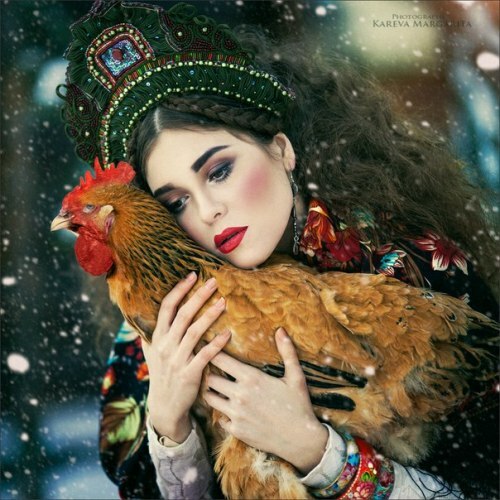 Despite her relatively short experience in photography, Kareva has become known both in Russia and abroad. 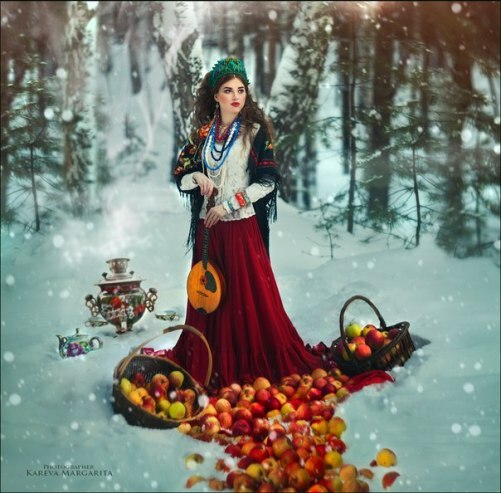 Margarita Kareva conducts photo shoots and master classes all over the world. 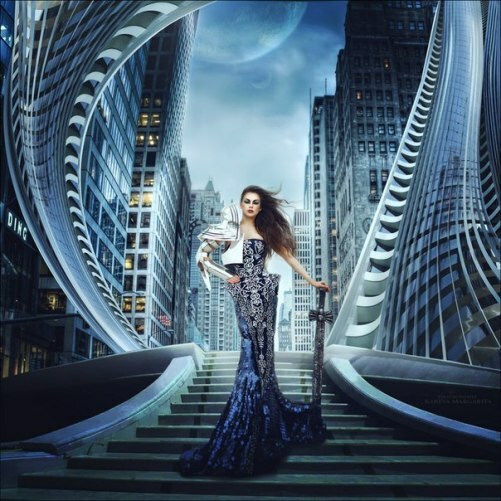 Along with master classes, the photographer works in some other directions, for instance, organization and carrying out photo tours abroad. 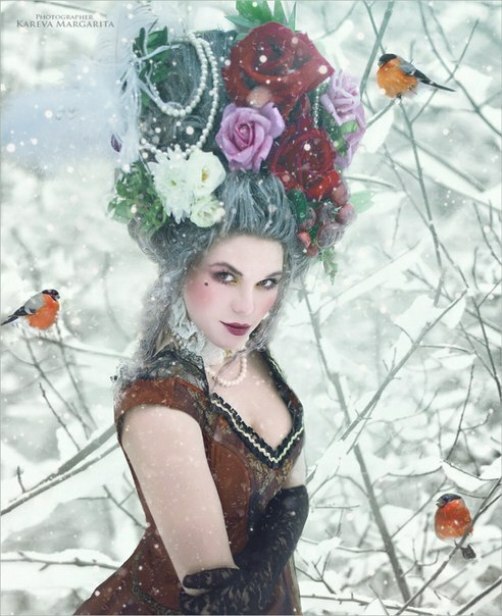 Besides, she provides individual staged photo shoots, including Wedding and Love Story photography, Art projects, as well as Advertising photography. 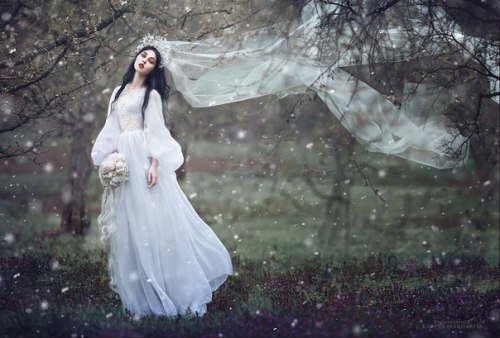 “Understanding what kind of result you want to get – the key to successful shooting. 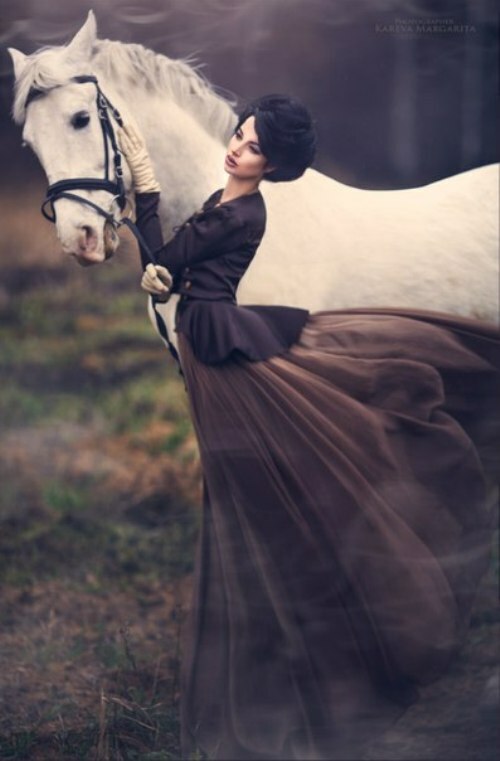 It is advisable to study the theory of the color wheel, especially if you are just starting to work with color. 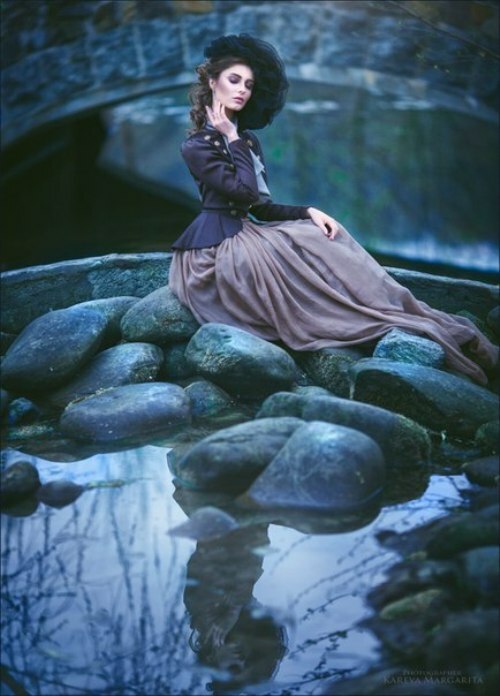 From the very beginning of the photographic way of doing the selection of colors in the image intuitively, but maybe if I knew the theory, my first photo shoot would not be so terrible. 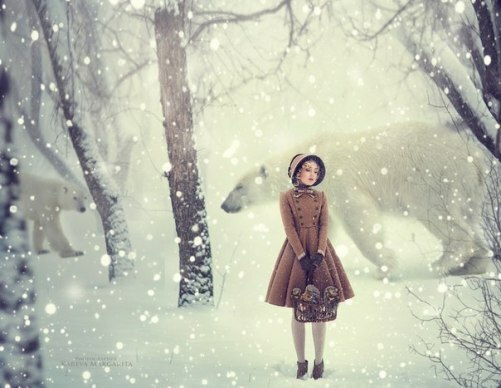 In my photos I try to play on the contrast of colors”. 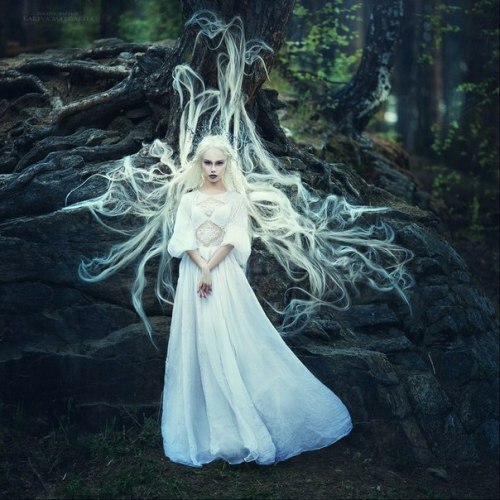 Very often, a girl with an unusual appearance inspires this or that idea of photo shoot. 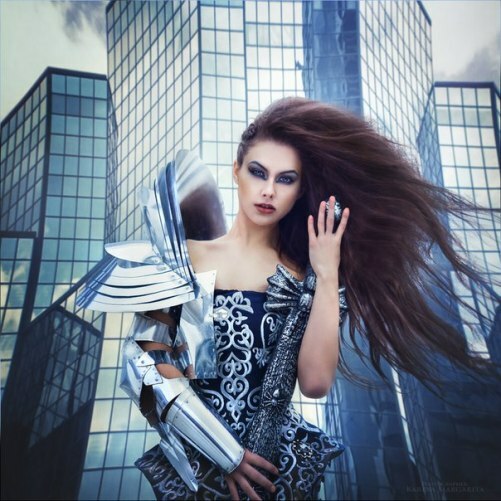 In this case, the shooting built in such a way as to emphasize the appearance, and in the selection of clothing and locations I rely on type of color of model.